Another good tale from Alan Jones! This is a gritty crime novel with sexual content. Alan hits on the hot topic of slavery/human trafficking in this book. Not a pleasant subject, but that seems to be Alan’s speciality! It took awhile for me to connect with a character in this one, but by the middle of the book I was invested with the character of Bill, the father. 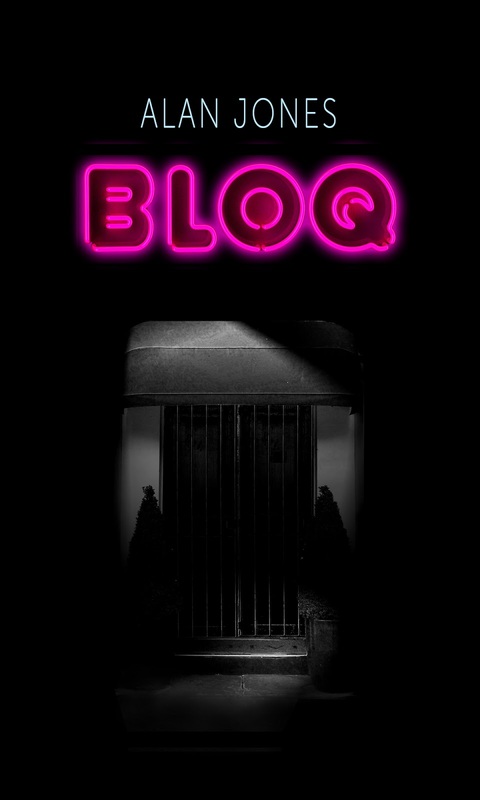 I was really impressed with the amount of technical knowledge used by Bill to track the doings at the Albanian mob owned nightclub Bloq! The lengths Bill goes to find his daughter are amazing. Another WOW twist ending in this one too! I love those kinds of endings! Alan has it perfected! The early reviews are glowing for this book! You can read the first four chapters at the website Bloq and pre-order the book due out April 1st here or in the UK here. 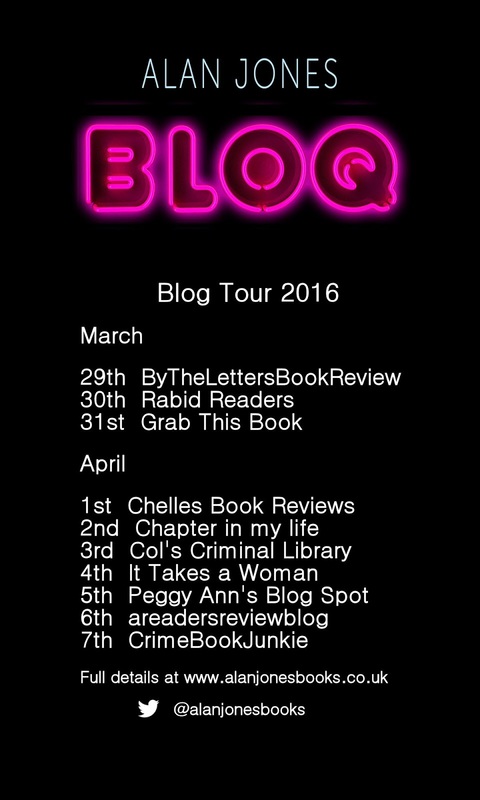 A blog tour begins March 29th. Alan will be here on April 5th explaining the technical bits Bill uses to catch his man! Be sure and drop in then! Thanks Alan for the advance copy! 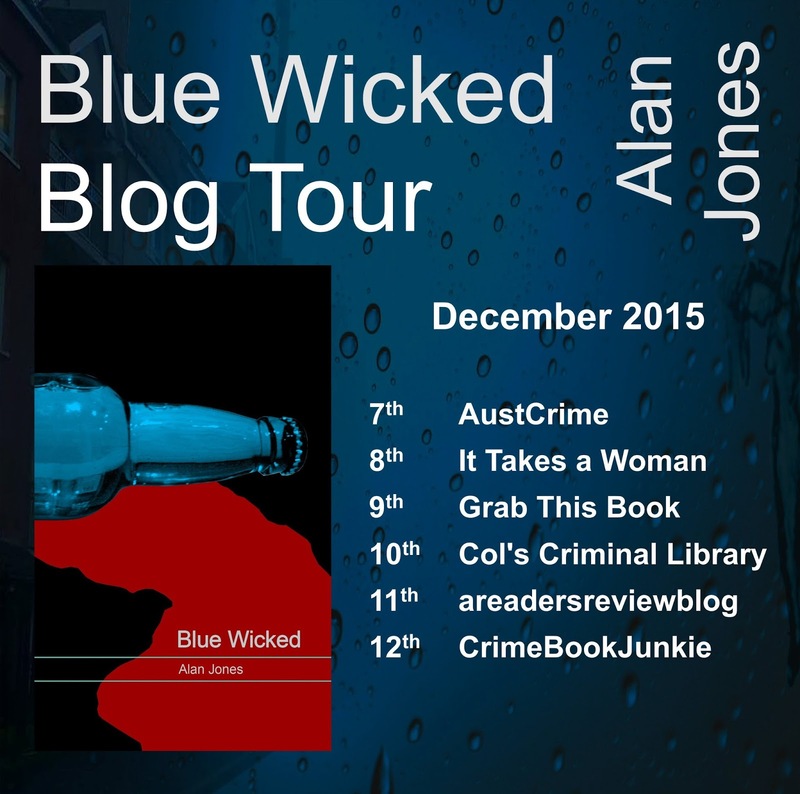 Alan Jones is doing a blog tour with Blue Wicked next week. He has something different and exciting planned for each day and each blog. Make sure to stop by each blog and see what’s up! I wish I could say that this was my idea, but I read about another author doing it and I thought – what a great way of getting feedback from people about reading in general, what they think of my books and what they are looking for in a good read. It makes a change from authors being interviewed, and would take the format of a general section where the questions would be about your reading habits, followed by a more specific section about your views on ‘Blue Wicked’, my second Glasgow crime thriller, which has an unusual pair of investigators! I am looking for five readers to take part, on a first come, first served basis, and I would be happy to give each participant a free copy of my book (Mobi or ePub) to let them evaluate it. 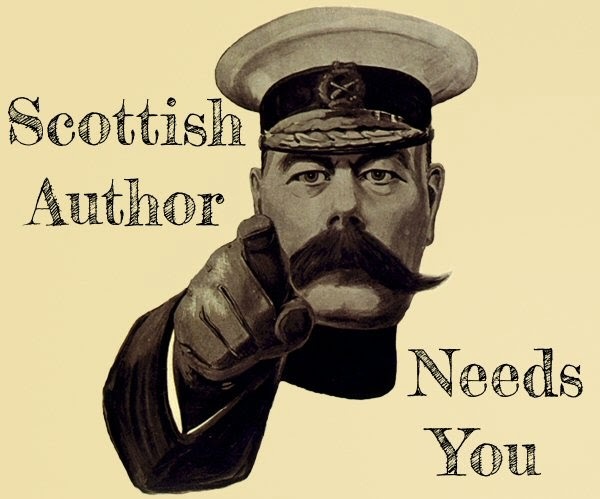 Peggy has kindly let me post this in the Read Scotland 2015 Goodreads group, and on her blog. The book is very gritty and gruesome, with a fair bit of bad language, so I wouldn’t recommend it for the faint hearted, but if you like full-blooded Scottish crime with a large slice of realism, I’m pretty sure you’d enjoy it. I’ll post as many of the interviews as I can on my website, www.bluewicked.co.uk. Please reply to me on alanjonesbooks@gmail.com if you’d like to take part. What age were you when you got hooked on books? What are your favourite genres now? How many books do you read, on average, per month? Do you prefer paper books or electronic books? Where do you read most? Do you ever go back and read books again? Did you find any of it difficult to read, and why? Would you want to read another book by Alan Jones? Was the book too long, too short, or just about right? Did you have any problem with the Glasgow slang words used in the book? Did you make use of the slang dictionary or glossary at the end of the book? Did you access the audio version of the slang dictionary on the website? Did you guess the ending before you finished the book? Was there too much, not enough or the right amount of veterinary content? Would you like to read more about Eddie and Catherine? Have you any other comments about Blue Wicked? Thanks for taking part – It’s much appreciated.